The design of reasonable, easy to use; all-locked; B paragraph with a dark grid ? Antique style finish for a more realistic & old appearance. 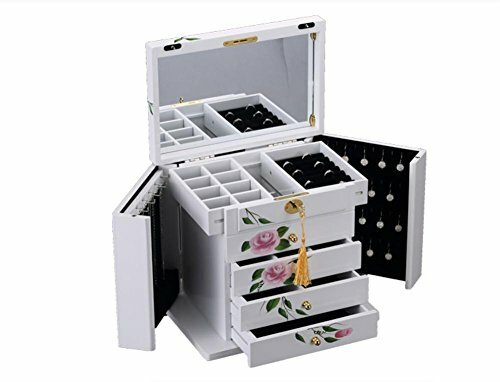 Jewelry box on the flowers are hand-polished to ensure that the details of the perfect and three-dimensional sense? Clever design of interlocking structure, roof, drawer, all locked to ensure the safety of valuables? HD fine mirror? for better viewing?